Sewing machine - are you ready? My mother-in-law gave me all three of these books for my birthday. 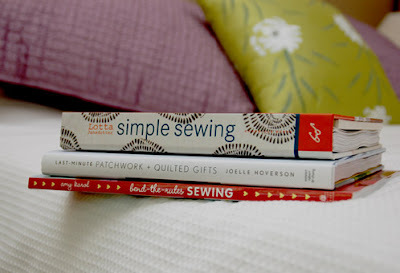 The titles are "Simple Sewing" by Lotta Jansdotter, "Last minute patchwork + quilted gifts" by Joelle Hoverson and "Bend the rules sewing" by Amy Karol. I'm looking forward to starting some new projects!